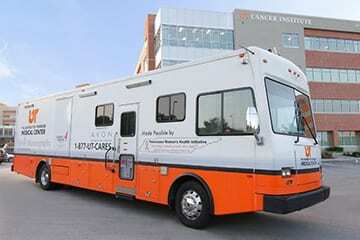 A 3D Mammography Mobile Unit will offer services starting September 5, 2018. KNOXVILLE, TN — In the United States it is estimated that one in every eight women will be diagnosed with breast cancer in her lifetime. One of the best methods of early diagnosis has been mammography. However, many women, especially in the African American community have forgone this procedure due to many reasons: among them are the lack of health insurance, low income, lack of a primary provider, and fear of diagnosis. While basic mammography has been effective, in 2011 the USFDA approved a new breast imaging technology: 3D Mammography. Thus procedure gives a more detailed image of breast tissue by capturing different areas of the breast from different angles. The results can be read like turning pages of a book. Research by cancer specialist indicated this produces better imaging especially of dense breast and may provide more accurate readings. The opportunity to receive this type screening will be held in the inner city on September 5th from 9 till 4 at Payne Avenue Missionary Baptist Church. There is even grant assistance available for women over 40; very important age information as the median age for minority women for first diagnosis is 59. To schedule an appointment please call 865-305- 9753.